Well a very good news for Android lovers , UMI – a china based manufacturer who is already in fame due to its UMI X2 and Umi X1 . 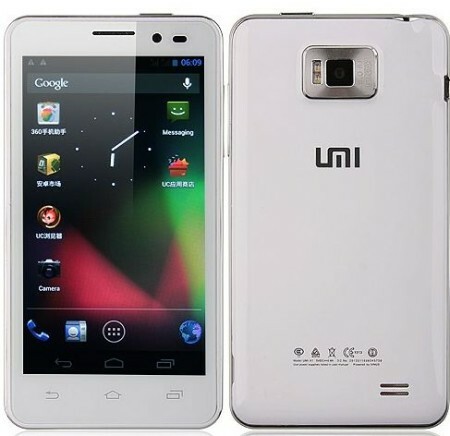 Many peoples are waiting for UMI x2 to launch and UMI now comes with there new quadcore handset that is UMI X1s . UMI X1 runs on MTK MT6589 chipset having frequency of 1.2GHZ . UMI X1s runs on Android 4.1 jelly bean . UMI X1s price in India is Rs 10500 . There is already rush of Quad core handsets in the market and now one more comes at budget . 1 . Xolo Q800 – Xolo Q800 runs on same MTK chipset on which X1s is running . Overall xolo Q800 has better specs than UMI X1s if compare them . Xolo Q800 review . 2. Alcatel One Touch Scribe HD ( Review ) – Alcatel One Touch Scribe Hd has 5inch Display of 720p resolution . The device has 1Gb ram . Again Scribe HD has better specs than X1s but its price is more than X1s . 4 . Gionee Dream D1 ( Unboxing & Review ) – Gionee Dream D1 has Super Amoled HD Display . We own tested the hardware quality of Gionee’s mobiles & on that basis i can say that quilt quality is much better than others phones . We will review of Gionee Smartphone very soon . 5. UMI X2 – UMI X2 is also Quad core handset from UMI , but it has 5 inch 1080p resolution display . 6 . 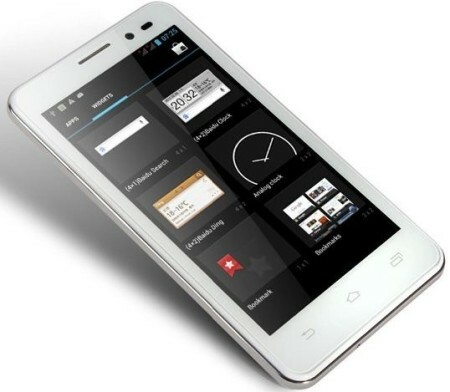 Micromax A116 – Micromax A116 is Qaudcore handset and is Micromax’s first 4 core superfone . Overall UMI X1s would be a great buy at this price . Price – UMI X1s price in India is RS 10500 . UMI X1S BUY -You can Buy UMI X1s from Umimobiles .